A couple of days ago the post man knocked on my door with a package. I hadn't ordered anything, so it was a puzzling what it might be. When I opened the package I found 3 copies of a book in Chinese. It was one of my books ! 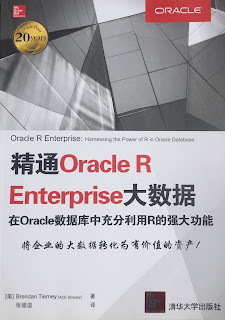 One of my books was translated into Chinese ! What a surprise, as I wasn't aware this was happening. At this time I'm not sure where you can purchase the book, but I'll update this blog post when I find out.